Match ends, Espanyol 0, Athletic Club 0. Second Half ends, Espanyol 0, Athletic Club 0. Attempt saved. Gerard Moreno (Espanyol) header from the left side of the six yard box is saved in the centre of the goal. Assisted by Reyes. Substitution, Espanyol. Reyes replaces Leo Baptistao. Attempt missed. Eraso (Athletic Club) right footed shot from outside the box is too high. Assisted by Muniain. Gerard Moreno (Espanyol) wins a free kick on the right wing. Foul by Yeray (Athletic Club). Yeray (Athletic Club) wins a free kick in the defensive half. Attempt missed. Raúl García (Athletic Club) left footed shot from more than 35 yards is high and wide to the left. Assisted by Iñaki Williams. Foul by Eraso (Athletic Club). Offside, Espanyol. Gerard Moreno tries a through ball, but Felipe Caicedo is caught offside. Substitution, Athletic Club. Muniain replaces Sabin. Offside, Espanyol. Diego López tries a through ball, but Felipe Caicedo is caught offside. Felipe Caicedo (Espanyol) wins a free kick in the attacking half. Offside, Athletic Club. Eneko Bóveda tries a through ball, but Iñaki Williams is caught offside. Offside, Athletic Club. De Marcos tries a through ball, but Eraso is caught offside. Substitution, Espanyol. Felipe Caicedo replaces Pablo Piatti. Corner, Espanyol. Conceded by Mikel Vesga. Substitution, Athletic Club. Raúl García replaces Aduriz. Attempt missed. Aduriz (Athletic Club) right footed shot from the centre of the box is too high. Assisted by Mikel Rico with a through ball. Attempt missed. Javi Fuego (Espanyol) header from the centre of the box misses to the right. Assisted by Pablo Piatti with a cross following a corner. Corner, Espanyol. Conceded by Iñaki Williams. Aduriz (Athletic Club) wins a free kick on the right wing. De Marcos (Athletic Club) wins a free kick on the right wing. Second Half begins Espanyol 0, Athletic Club 0. First Half ends, Espanyol 0, Athletic Club 0. Jurado (Espanyol) wins a free kick on the left wing. Offside, Athletic Club. Sabin tries a through ball, but Eraso is caught offside. Attempt saved. Pablo Piatti (Espanyol) left footed shot from outside the box is saved in the bottom right corner. Assisted by Aarón Martín. Foul by Diego Reyes (Espanyol). Substitution, Athletic Club. De Marcos replaces Etxeita. Attempt missed. Gerard Moreno (Espanyol) left footed shot from the right side of the box is close, but misses the top left corner. Assisted by David López. Delay in match Etxeita (Athletic Club) because of an injury. Dangerous play by Aduriz (Athletic Club). Offside, Espanyol. Pablo Piatti tries a through ball, but Hernán Pérez is caught offside. Attempt saved. 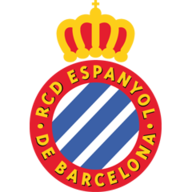 Pablo Piatti (Espanyol) left footed shot from outside the box is saved in the centre of the goal. Corner, Espanyol. Conceded by Balenziaga. Foul by Sabin (Athletic Club). Corner, Athletic Club. Conceded by Javi Fuego. Corner, Espanyol. Conceded by Mikel Rico. Attempt blocked. Mikel Rico (Athletic Club) right footed shot from outside the box is blocked. Sabin (Athletic Club) wins a free kick in the defensive half. Javi Fuego (Espanyol) is shown the yellow card for a bad foul. Mikel Rico (Athletic Club) wins a free kick in the attacking half. Attempt missed. Leo Baptistao (Espanyol) header from the centre of the box is close, but misses the top left corner. Assisted by Víctor Sánchez with a cross following a set piece situation. Eraso (Athletic Club) is shown the yellow card for a bad foul. 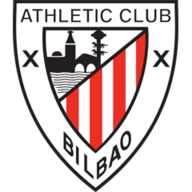 Delay in match Balenziaga (Athletic Club) because of an injury.